Wear Keisha jewellery set for on-trend look. 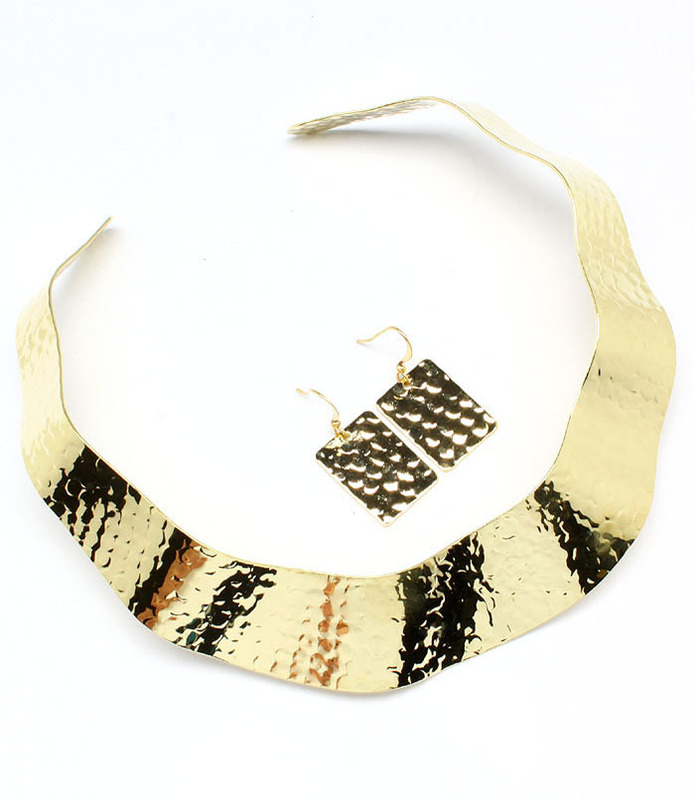 This single-piece necklace features textured gold tone surface, collar style, open back and wavy design. The earrings have a pending rectangular detail. Our collar necklaces are of the highest quality and come with a hassle free exchange policy.